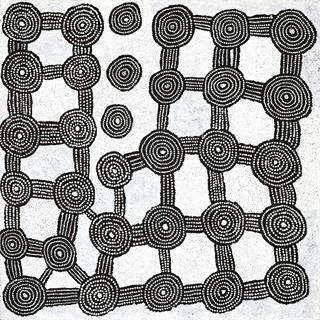 For Indigenous people from Australia, the land has always been the literal and symbolic bedrock of cultural knowledge. The shape- shifting Ancestors who created the land, named it and passed down the laws of social behaviour on epic journeys, eventually metamorphosed into the earth and vested it with their power. 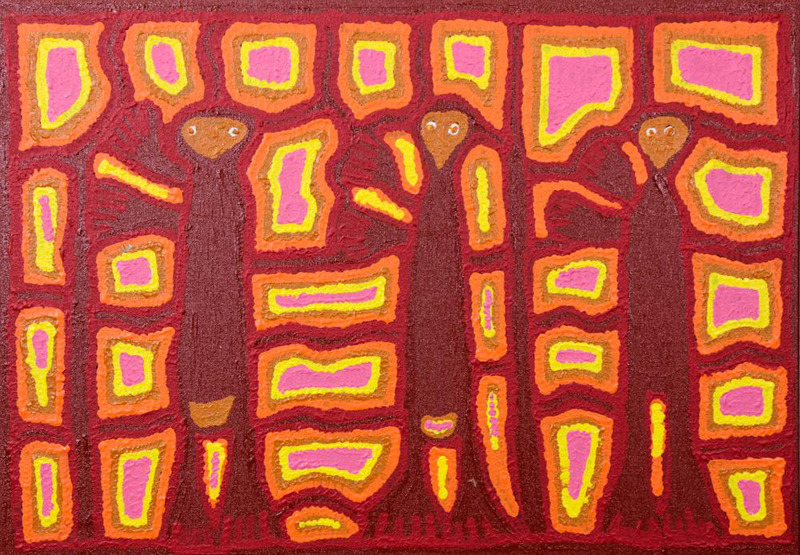 These narratives are reconstituted through ceremonial performances and cultural art production to ensure the wellbeing of the Ancestors, their sites of residence and the people who are forever connected to them. 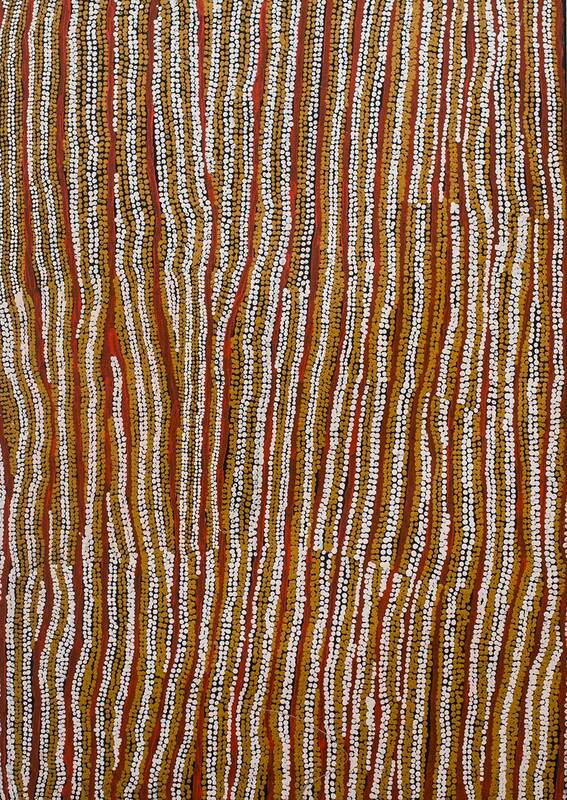 Within these portraits of “country” (a colloquialism of Aboriginal English meaning culturally inherited tracts of land), are incredible systems of knowledge that have contributed to the physical and spiritual survival of Aboriginal people for over 50,000 years. However, since the colonisation of Australia in 1788, this knowledge was largely devalorised by people who chose not to learn its cultural signification or sophistication. 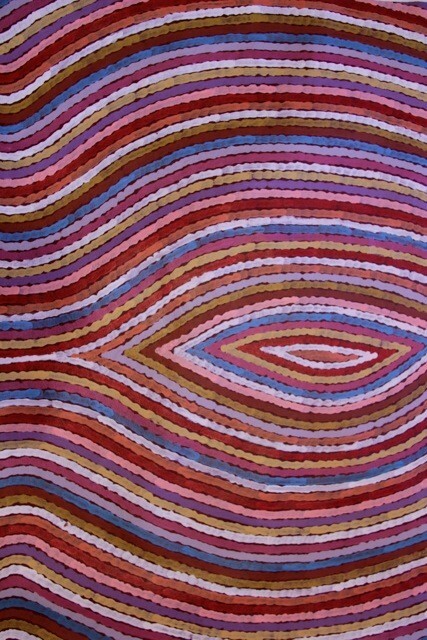 While Aboriginal art is no longer relegated to the outside of buildings, in various ways, it still negotiates this philosophical couplet of inside and outside through the organization and diffusion of its knowledge and its relationship to the international and Australian art worlds. 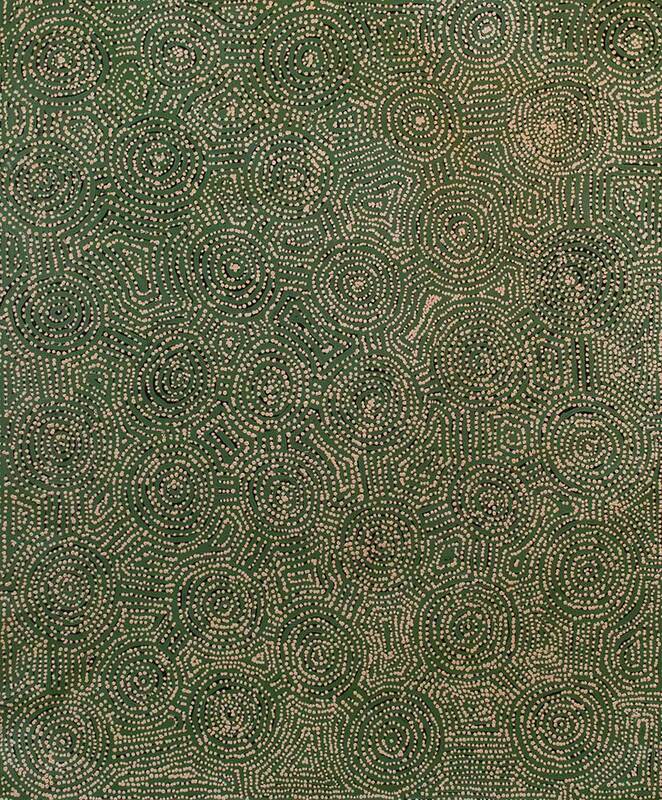 Against this grim background, in 1971 a teacher from Sydney named Geoffrey Bardon watched children at the settlement of Papunya, 150 miles west of Alice Springs, tell stories by depicting images such as animal tracks in the sand. But when Bardon invited them to paint their stories with poster paints in the classroom, the children refused. They understood that they were not allowed to share their stories with outsiders who were not initiated into the sacred knowledge that underlay them. 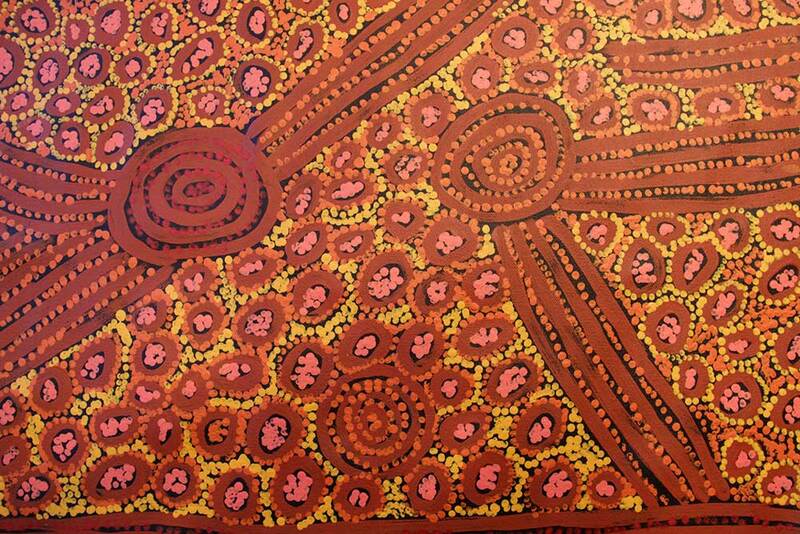 Instead, it was the elders of Papunya who agreed to paint for the schoolteacher. 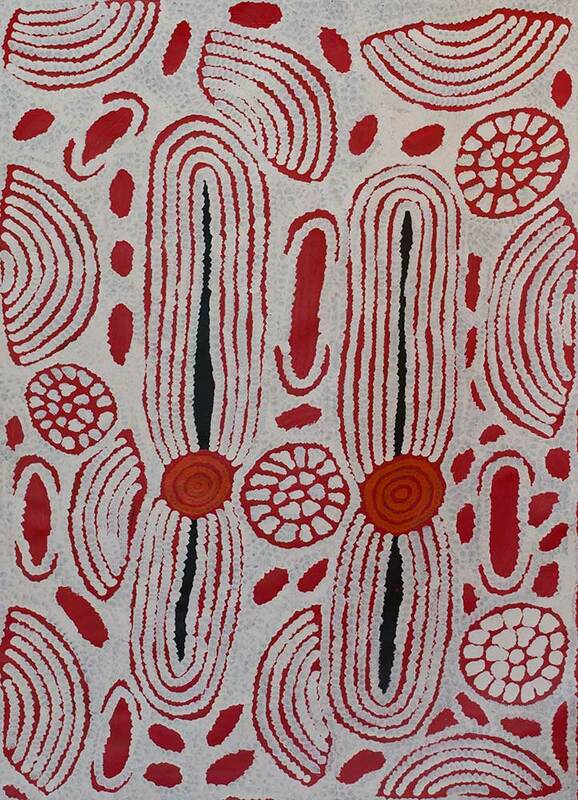 At first, a group of older men painted a mural on the wall of the Papunya school building. Soon, with paints that the schoolteacher supplied, they began producing artworks on nearly anything they could find— scrap lumber, old linoleum tiles, discarded cabinet doors. 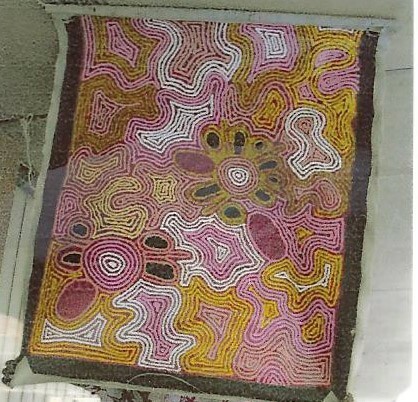 The Honey Ant Mural was painted beneath the classrooms of the Papunya Special School and it created a powerful statement of cultural agency and pride within the oppressive government settlement. 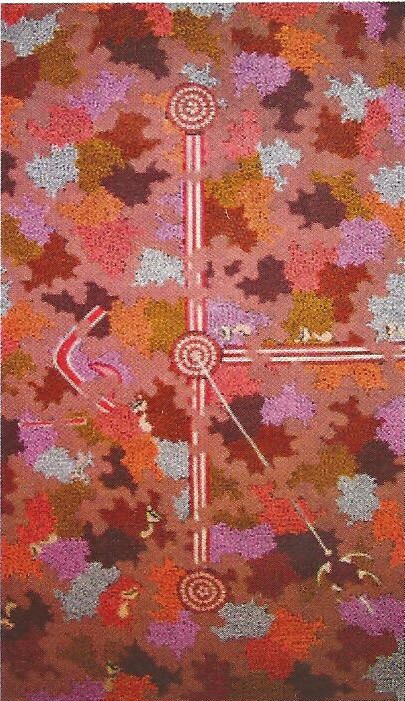 This was the first time that this iconography had been extensively seen by uninitiated people, and it precipitated the radical notion that Indigenous visual culture could have aesthetic, political and intellectual value. 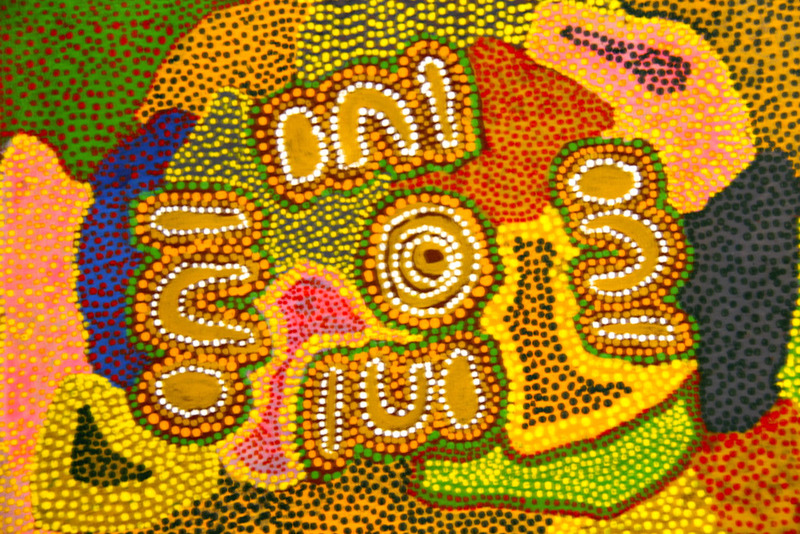 Encouraged by Geoffrey Bardon, an artist and art teacher, senior Aboriginal men came together to paint on the outside of the walls of the school. 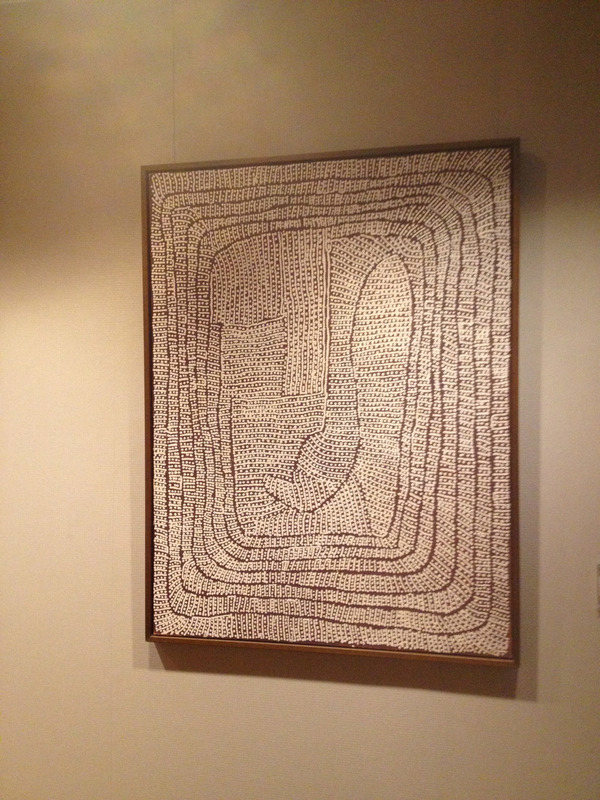 On a symbolic level, this artistic intervention, addressed the suffocating monoculturalism of the western classroom and created expansionary movement for other modes of knowing, seeing and being. 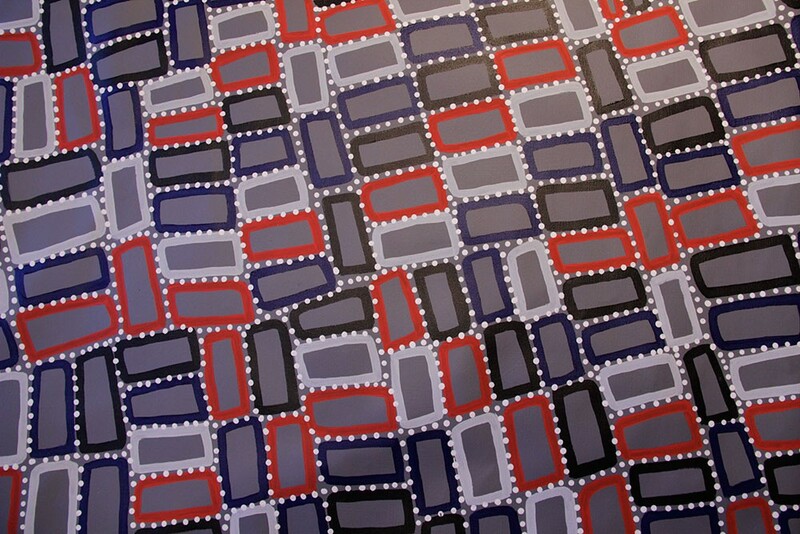 Although undoubtedly the product of intercultural engagement, the designs were uncompromisingly made by Aboriginal people and for Aboriginal people. 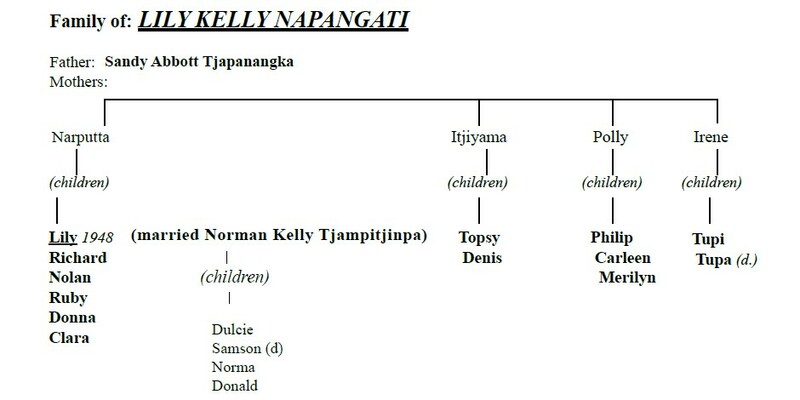 The family relationships given below are based on personal interviews with relevant people. 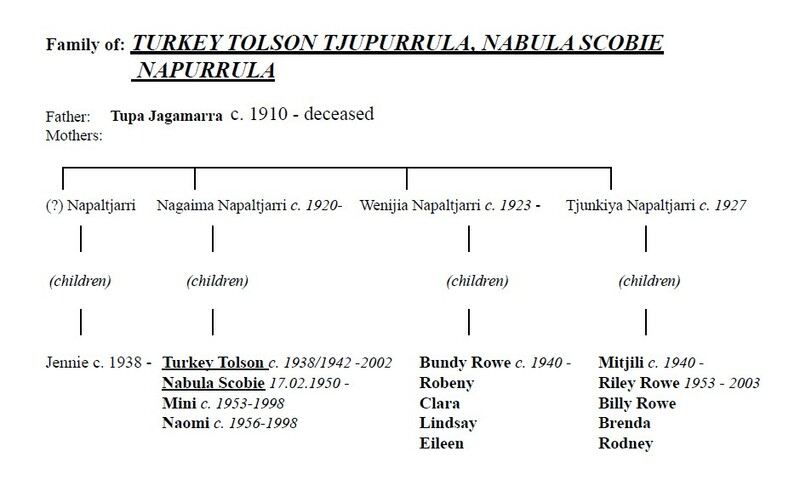 For every family tree, one or more members of a particular family group provided names of progenitors and dependants in six family relationships. 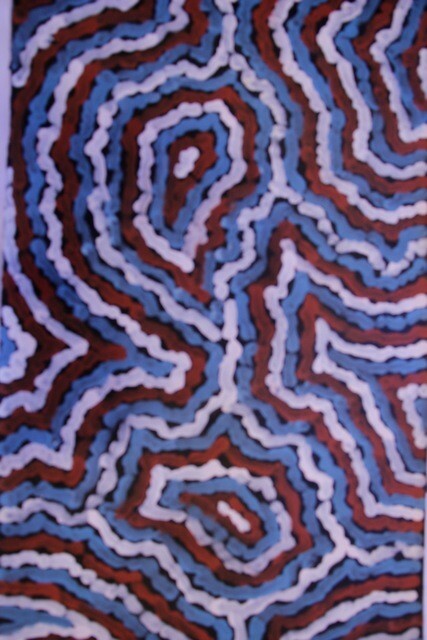 The people interviewed are all artist who currently work for different art centres. 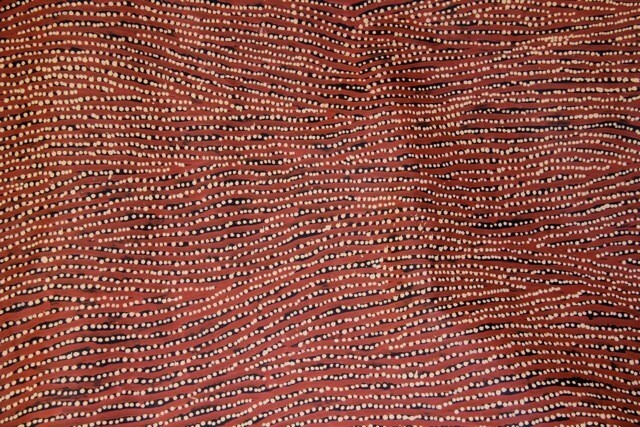 Traditionally Papunya is the epicentre of the honey ant dreaming where songlines converge. 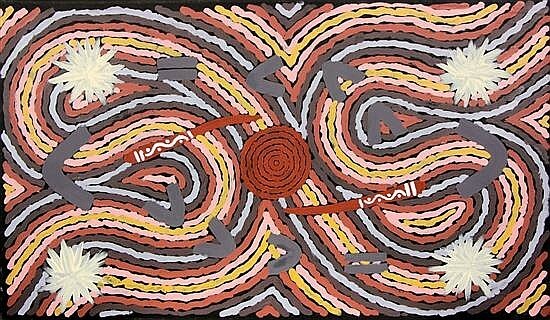 The resultant explosion of artistic activity is generally regarded as the origin of contemporary indigenous Australian art – the modern form of art of the oldest surving race of peoples on the planet. Accordingly, as one of the newest art movements in the world and being so definitive from such a small group of people, it has excited collection around the world, particularly in France and Germany and the United States of America. 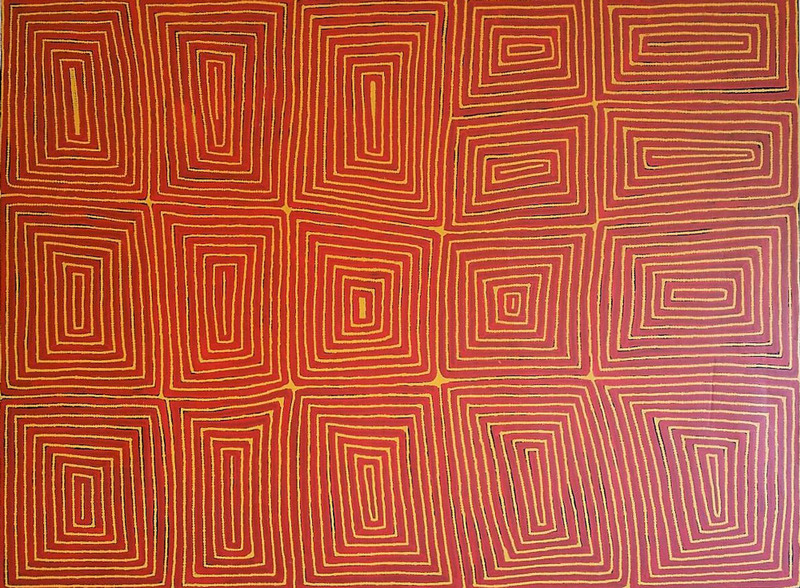 Initially comprised entirely of Australian Aboriginal men, women such as Patsy Napangardi started painting in the late 1980’s. 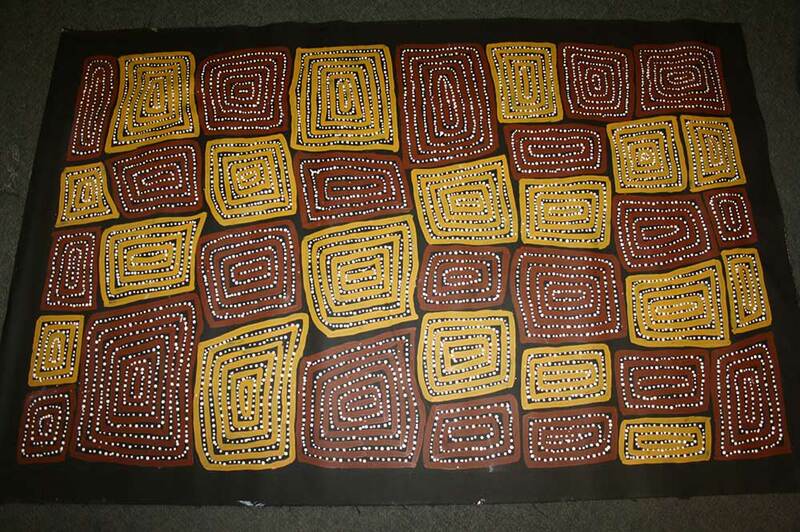 The name tula derives from a small hill near Papunya, a honey ant dreaming site and the artwork initially used a style of painting traditional in the sand anf for body adornment in ceremonies but began to incorporate the Western style of using acrylic paint and a hard surface. As their work gained in popularity, the artists omitted or changed many of the spiritual symbols for public viewing so as to avoid revealing too much of their sacred hertigage. Hence the dotting and over dotting. 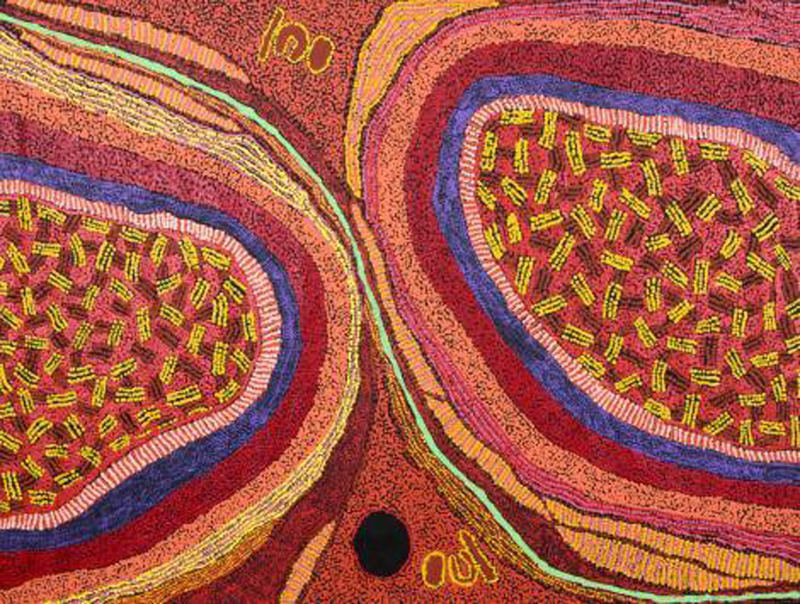 The first Australian institution to recognise the significance of the art was the Victorian Gallery as recently as 1987 and in 2007 a painting by Clifford Possum Tjapaltjarri set a record at auction for indigenous art of A$2.4m. 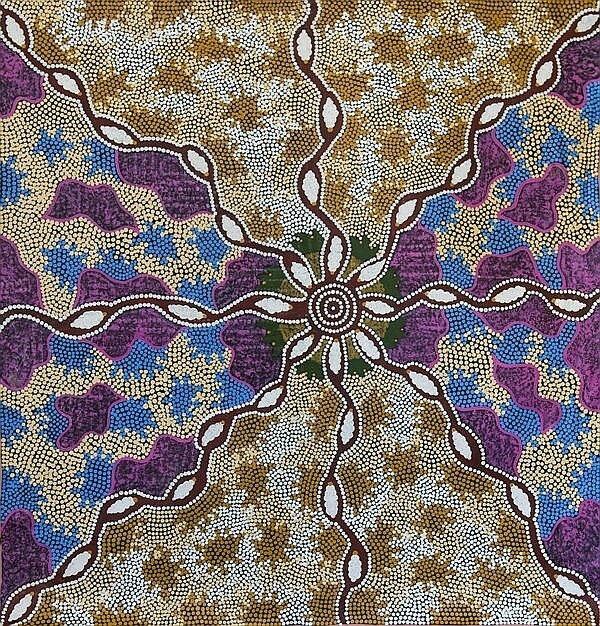 In 2000 the Art Gallery of New South Wales held an exhibition at the time of the Sydney Olympic Games, and more recently, in 2007-8, the National Museum of Australia exhibited a collection of Papunya paintings from the early years. 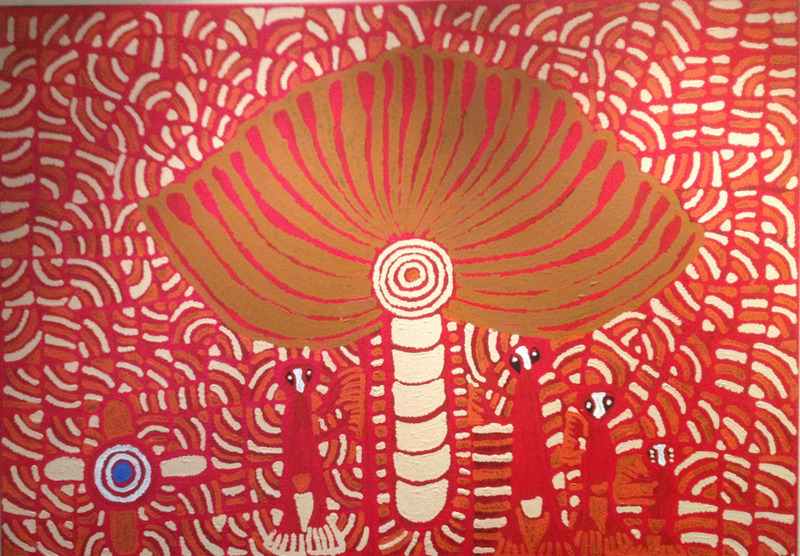 Two Papunya artists, Tommy Watson and Ningurra Naparrula are presented in Paris at the Musee du Quai Branly which is dedicated to indigenous art of the world. There is an excellent article we have from The Bulletin Magazine, 1984. 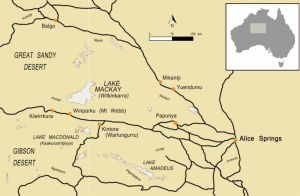 It is the only account we know of that tells what it was like for the VERY LAST group of indigenous Australians to enter contemporary Australian society. It is one of the most interesting articles we have on this topic and interestingly involves a few of the artists we have supported for almost 10 years now. It is a fascinating read.